As a webmaster you are probably interested in monetizing your website content. Be it for the running server costs, for the invested time or for your living. Nowadays you got several possibilities besides programs like Google Ads to earn coins instead with your sites. BitBond Lend and invest in loans and earn interest rate. Affiliate program is also supported. 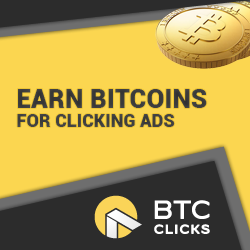 BitVisitor Earn money via visitors look at pages with ads (offline currently). Know some other reliable providers which aren’t listed yet? Please let me know in the comments section.